Work is a fundamental element of Conservative thinking. A job is the best pathway out of poverty and towards prosperity. It can provide a purpose which defines us as an individual. 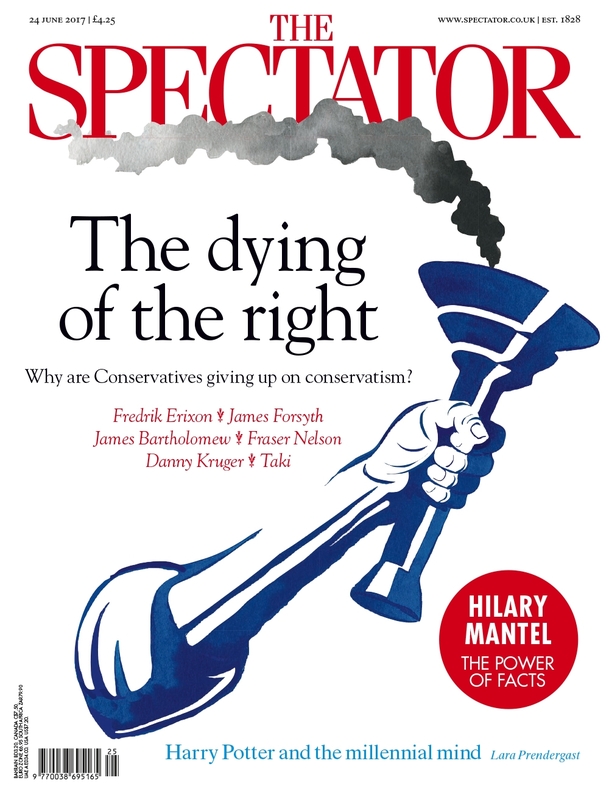 As well as creating jobs, Conservatives have a proud history, which goes back to Lord Shaftesbury and Benjamin Disraeli, of ensuring robust protections for people in the workplace. In this spirit, Theresa May asked Matthew Taylor, the former head of Tony Blair’s Number 10 Policy Unit, to review current employment practices and law. Yesterday’s launch of Taylor’s review was briefed as part of May’s leadership reboot. In this regard, May’s speech fell somewhat short. But as a Conservative case for work it was a well-worded statement. May described how a “good job can be a genuine vocation, providing intellectual and personal fulfilment, as well as economic security. With good work can come dignity and a sense of self-worth. It can promote good mental and physical health, and emotional well-being.” For the past seven years, the Conservative have had an impressive record of job creation. Now the time has come for similar progress to be made in the development of workers’ rights. Technological innovation, as much as globalisation, is transforming the workplace. At the cutting edge of this change is the “gig economy”. New companies such as Uber, Deliveroo, Airbnb, and TaskRabbit have appeared which allow workers to easily take up freelance work and to be hired through apps and websites. It has provided opportunities for many workers as well as lower prices for consumers. But there is also a lack of security for workers as the legal line between gig economy jobs and the traditional definition of self-employed has become ill-defined. These new jobs also fail to provide sufficient pay and benefits for people to get started on the path towards forming families, owning a house, or planning their retirement. Jeremy Corbyn and the hard-left have responded negatively to this development and believe in a heavily restricted labour market, unlike the liberal left in America. The challenge for Conservatives is to maintain the balance between flexibility and fairness which ensures British workers can easily find work without fear of being exploited. Taylor’s Good Work review goes some way to provide guidance on how this can be achieved. This is particularly important as the workplace in general becomes increasingly flexible and as people make more frequent career changes. Taylor’s key recommendation is that gig economy workers should be legally classified as “dependent contractors”, separated from the traditional definition of self-employed. Not only would this allow the tax system to recognise the unique status of gig economy workers, as Philip Hammond tried to do when he proposed an ill-judged increase in NICs in his Spring Budget, it would also provide greater clarity in the law so employment tribunals can identify and punish cases of abuse. Gig economy workers who work full-time would also be able to enjoy access to the national minimum wage, sick pay, and holiday pay. May placed workers’ rights at the heart of her new Conservatism. But the loss of her majority in a humiliating election result has placed these reforms in jeopardy. Instead of being able to confidently promise a bill to implement the Taylor review’s proposals, May asked other parties to “read this report, engage with the difficult issues it raises, come forward with your own views and ideas about how we can tackle these challenges as a country.” It is more likely that Corbyn’s Labour party will decide to play an obstructionist role in Parliament in order to weaken the government. There will be some opposition from within the party to these reforms, but May’s desire to build a new Workers’ Party remains necessary and right if the Conservatives want to regain their majority. In a rapidly changing global marketplace, the Conservatives can only endure and thrive by becoming a champion of small businesses and workers, "the little guy", in an increasingly volatile new world. ​As we approach Theresa May’s first anniversary as Prime Minister, we are confronted with a government losing its passion for reform. Brexit dominates the national conversation, but the economic and social problems which have fuelled the rise of populism will worsen if Toryism does not respond to them. The greatest risk for the Conservatives is for them to become an uninspiring party of managerialism. The country does not need more technocrats at a time when voters feel frustrated with the political class and distressed by the upheaval of the twenty-first century. By retreating on the reforms of both May and Cameron, the Conservatives are becoming a party of Grey Toryism. The growing similarities with the 1990s when the party leader was infamously satirised in Spitting Image with grey skin, and the party went into a minority with support from Northern Irish MPs in its dying days, has not gone unnoticed. Leadership rumours have also undermined the spirit of radical Toryism. Rather than asking questions and proposing solutions to help the party connect with working-class voters, the young, and public sector workers, many MPs seem more interested in gossiping about when May should leave office and who should replace her. The next Tory leader will certainly need a positive vision for the future of Conservatism, but the question of leadership should not define the party’s post-Brexit identity. There are major challenges which need to be addressed by a new radical Tory philosophy. The meagre nature of the domestic legislation in the Queen’s Speech was inevitable given the new parliamentary arithmetic, but the government has been sliding towards managerialism for months now. During the election, May never proposed any truly imaginative and popular policies to live up to the philosophical vision in the manifesto. Even the ideas which inspired May’s communitarian conservatism were drowned out by the constant and unrelenting mantra of “strong and stable leadership”. The government is now suffering the consequences. Social reform has been paralysed. Some progress might be made with reform of mental health and domestic abuse legislation, but we cannot expect anything as ambitious as the Coalition-era public services reforms. In fact, flagship Tory reforms are being watered-down. Michael Gove’s innovative and much-needed prison reforms have been ditched. Justine Greening might end funding for the future expansion of free schools. Damian Green has appeared reluctant to defend the tuition fees system. Economic reform has also stalled. George Osborne succeeded in delivering cuts to income tax and corporation tax, a reduced deficit, and a steady flow of investment in infrastructure and skills. But the Cameron-led Conservative party never fully grasped the post-crash reality. The changing nature of work, the rise of automation and artificial intelligence, the unaccountability of global corporations, and growing inequality between the generations. Meanwhile, Cabinet ministers have been too busy making public interventions on why their departments should be exempt from fiscal restraint. There is no lack of radical Tory thinkers and ideas. Conservatives should draw upon them to become a populist, rather than a managerialist force in British politics. Voters are attracted to parties with a clear vision. That is why the politicians across the political spectrum from Donald Trump to Emmanuel Macron have prospered. Defending the status quo, or promising “strong and stable leadership”, simply will not do. It’s time for a rebirth of a radical Toryism which is prepared to win the twenty-first century.